Brand identity comprises all the features of your brand – values, mission, the way you talk to your public, goals and how they relate to you. As simple as it sounds, it is complicated to comprise, especially if you’re not the CMO. Your brand identity is the ID card that you show to the audience and they react to it. This is the ideal scenario. However, to get there you need to cross a demanding road. Your brand’s identity consists of name, logo, graphic elements, font, color palette, tone of voice, and tagline. Anything that makes you unique among other brands in your field fits into your brand identity. But let’s see how this can be done. Long gone are the days when brand logos reflected the field they fit in. Do you remember those car washes with all those logos that featured a car? On LogoRealm.com you can find a database with inspiration on how other brands stand out in their niche. You have a specific audience who looks for certain products or services from a niche. Therefore, you need to be recognizable to them, instead of reflecting that another company from that niche exists. Your audience needs to relate to your brand and find its vision and values in your communication. Therefore, you need to relate to their preferences, attitude, lifestyle and much more. Find the most important values of your public and explore them. By being relatable, you will also be memorable. If your audience responds to simple communication, then you might create a simple logo. The most successful example of a logo and brand name which stand out is Apple. The bitten apple reflects nothing of the brand’s expertise. Yet, it shows its values and purpose. Stick to your public when developing any brand identity element. Remember that you will meet your audience online and offline. Your brand will sponsor or participate in events, together with other brands. Therefore, you will need to have a flexible logo and brand name or tagline that stand out but look good together with others. Moreover, flexibility provide your graphic designers with more freedom regarding the usage of logo, graphics font, name or tagline. Do you know the Carlsberg ad from the Euro 2016 championship? It was impressive by not even mentioning it. Consistence includes all the details of your brand. Think of all the ways in which it will be visible both online and offline. Your brand identity will stick to your products or services for decades. So, ignore those cool or trending ideas that get a negative perception on the long run. Also, your brand identity needs to be intuitive. The more consistent your identity elements are, the higher are the chances to impress, even through product packaging. Brand identity involves an entire communication strategy that you will later consider. Therefore, you need to communicate the meaning that your brand has. A study claims that meaningful brand names are perceived in a more positive manner. You need to send this message through the brand guidelines. You might end up working with advertising agencies that need to fully understand your brand. 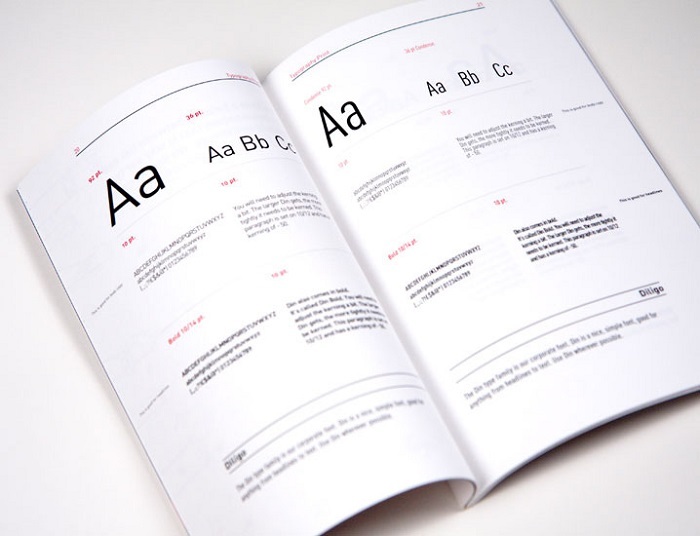 So, a thorough brand guide will be useful for your brand. Otherwise, it will just return like a boomerang. Brand identity focuses on two aspects: an overall image of your brand and details. These two come from your USP (unique selling proposition – what differs you from other brands) and your audience. However, if you have a clear picture regarding your brand proposal, you should have a flawless brand identity. As a marketer, you will use brand identity as a guideline for each step of your work. On the long run, you will be able to slightly change your logo, and color patterns. Brand name and tagline will most likely remain the same. Also, remember that your public should engage in your initiatives. Therefore, choose to risk instead of promoting safety. You need to speak your audience’s language and make them respond. Once the brand identity is complete, your next step is the easiest. Let your graphic designers, copywriters, social media specialists and collaborating advertising agencies to successfully decline it.